A watermill is a structure that uses a water wheel or turbine to drive a mechanical process such as flour, lumber or textile production. There are two basic types of watermills, one powered by a vertical waterwheel through a gearing mechanism, and the other equipped with a horizontal water wheel on a vertical axle. Most watermills in Britain had a vertical waterwheel. 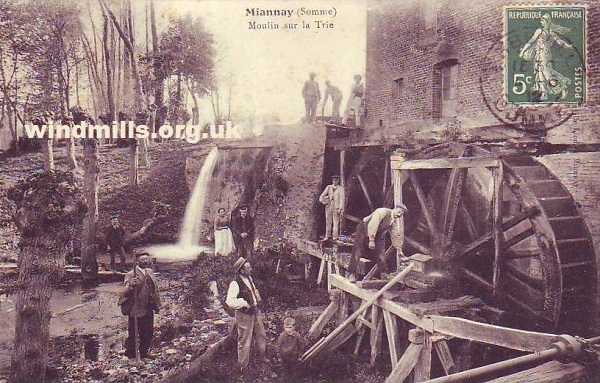 A simply wonderful vintage picture postcard of a water mill, Somme, France, c.1905. 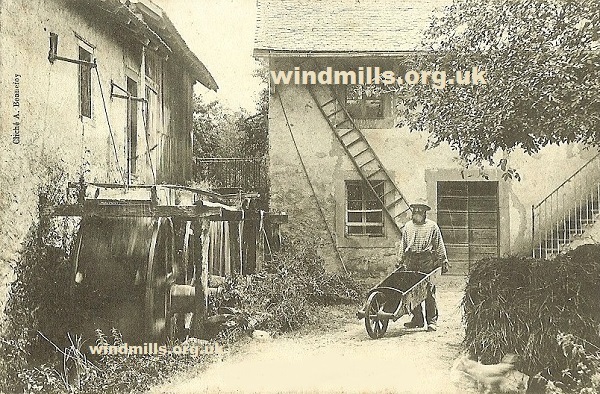 See also the section of our mill website on working water mills in Somerset.